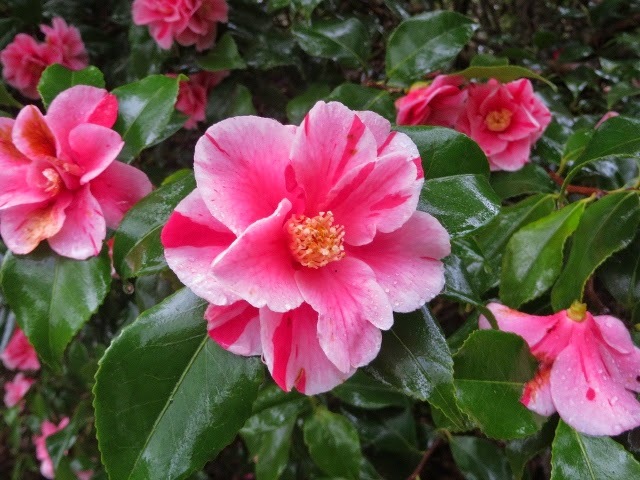 camellias were thought not to be hardy in England but the severe winter of 1928 proved otherwise. 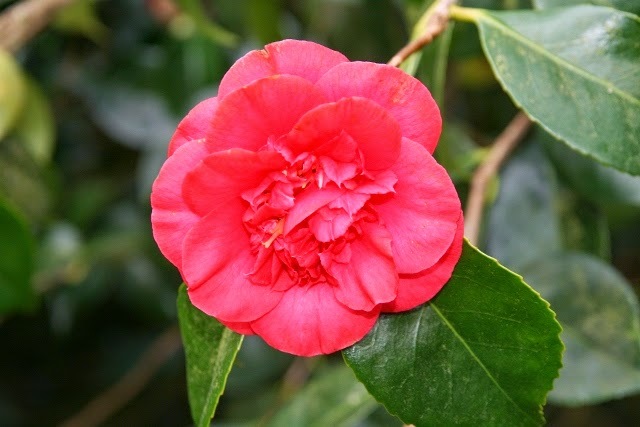 There are now great number of cultivars. 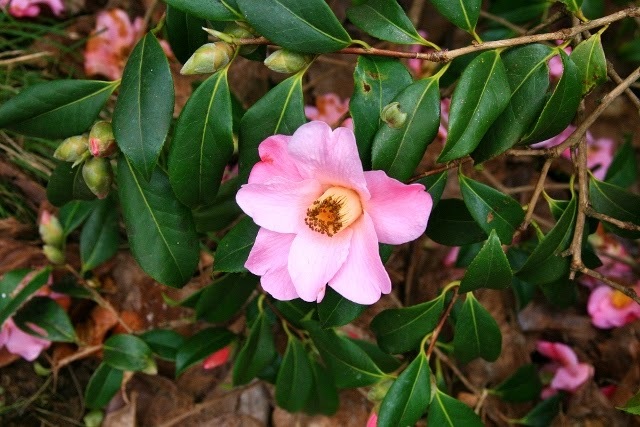 flowering and of spreading habit.